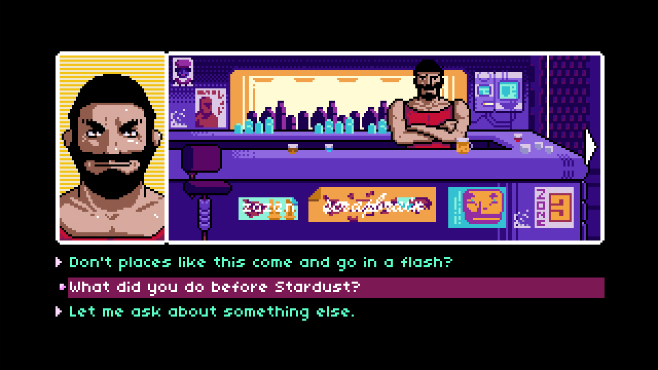 Read Only Memories is a retro-style, point-and-click adventure game, reminiscent of LucasArts classics like Maniac Mansion and The Secret of Monkey Island. That is, one part Blade Runner, one part Big Hero 6 and one part Terminator. The game is set in Neo-San Francisco in a distant future. The society is made strange by the casual acceptance of queer and trans folk, complete with a choice of traditional and alternative pronouns, while it is offended by the presence of genetically-modified and cybernetically augmented persons, who are routinely the subject of discrimination. 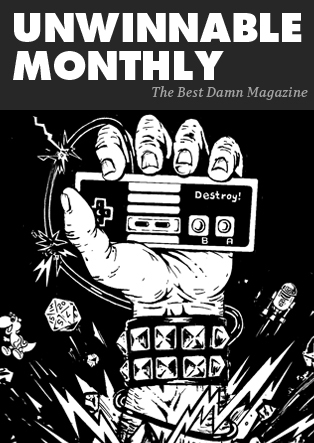 But the game, developed by MidBoss, the media production studio behind the documentary Gaming in Color and GaymerX, an “international queer gaming convention,” is not preachy or self-congratulating in its promotion of diversity. Rather, it takes the diversity (of race, gender, sexuality, able-bodiedness, etcetera) of its stable of unique, quirky characters as a norm, while putting its cyberpunk story front and center. The player steps into the role of a freelance journalist who is tasked with solving a kidnapping. The sole witness to the crime is Turing, the world’s first sentient artificial intelligence, who suspects that the crime has something to do with his creation. In many ways, the game invites players to contemplate our obligations to other beings, be they robots, future punks, cat ladies, or even houseplants. Are we obligated to actively work to extend the happiness of others? Or merely to tolerate their existence in our shared space? Are we obligated to take risks for others? To sacrifice ourselves or our happiness for them? Are we obligated to be caretakers of our fellow beings? Is it possible to live a fulfilling life without becoming one? The game’s retro graphics and music evoke a time when we were first contemplating such utopian questions during the advent of the Internet. We told ourselves that the constant connectivity of the web would coincide with the rise of a new society. Read Only Memories reminds us that every connection we make is also an opportunity to experience pain and loss. And if we aren’t careful about fulfilling our obligations to our fellow beings, some of the game’s less-than-happy endings will inflict that loss; some of the characters you meet in Neo-San Francisco are so charming and sweet that letting them down feels devastating. Read Only Memories is available for $14.99 on Steam, itch.io, the Humble Store, and GOG.